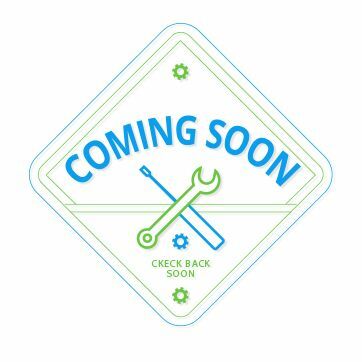 You can track the status of any item in your orders by entering your email address and either your Order ID (PS #) or Item ID (SR #). Your PS/SR Number can be found in any emails received from BuyBackWorld. What condition is your product in? Your camcorder is 100% functional with some cosmetic defects and normal signs of wear. Camcorder must include a working battery and battery charger. Your video camera may have minor cracks, scuffs or dents to the housing, but no damage to the lens. No missing parts or damaged buttons or switches. Must be able to record video with no issues. Video camera must include a working battery and battery charger. Why Should I Sell to BuyBackWorld? We wipe all personal data from your device to Department of Defense standards so your security is never compromised and your privacy is ensured. Praise by Forbes, The New York Times, PCWorld, and others has made BuyBackWorld one of the largest electronics buyback platforms online. Unlocking your AT&T iPhone 4, iPhone 4S, 5, 6 or 6 Plus is FAST, EASY and FREE! 2. Fill in the appropriate information where indicated on the form. 3. Once the form is complete, click Submit - That's it! Why are we paying more for unlocked iPhones? An iPhone device which is locked to AT&T will only work domestically on the AT&T network. Unlocking the device allows your device to work on any network, which makes the device worth more, allowing us to pass that extra value on to you, our customers. 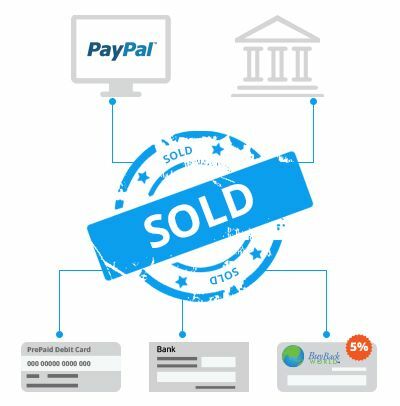 HOW DOES BUYBACKWORLD QUICK PAY™ WORK? 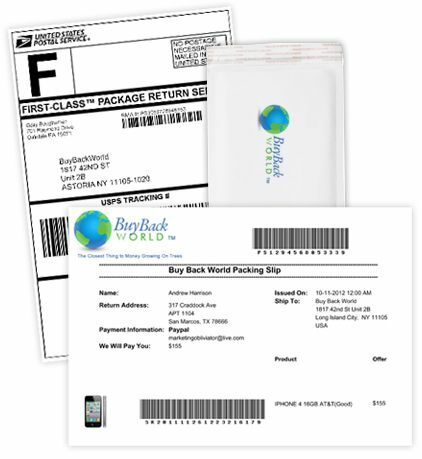 BuyBackWorld Quick Pay™ is next day payment for your item through check or PayPal. This means your payment is processed the next business day after we receive your item Monday through Friday. 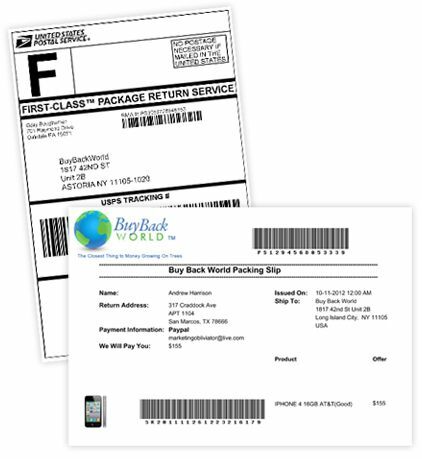 Normal payment processing time is one week from when we receive your item so BuyBackWorld Quick Pay™ is basically expedited processing for your item to get you paid quicker. PLEASE NOTE: If your item is received on a Friday, your payment will be processed on the following Monday. Why do I get less money with BuyBackWorld Quick Pay™? Since we expedite your order to be paid the next day, there are additional costs involved in processing your item. We understand this option is not for everyone, but rest assured whether you choose our traditional payment time or our expedited payment time, you are still receiving a great value for your old products either way. Think about it like paying an additional fee to receive expedited shipping when you purchase something online. Quicker shipping comes at an increased cost and so does quicker processing of your item. How do I get paid with BuyBackWorld Quick Pay™? 3-10 business days to reach you once we mail it. Unfortunately, we cannot control USPS transit times, we can only make sure we process your payment on the next business day after your item is received. Choose Your Correct Model: Make sure you choose the correct model for your item. A wrong model will result in a Revised Offer and slow down your processing time. Choose Your Correct Condition: Accurately describing the condition of your item will allow our QC Team to pass your item without sending you a Revised Offer. If your device has something wrong with it, we won’t be able to pay you the fully functioning price. Remove Passcodes / Activation Locks: Please make sure your item is factory reset and is NOT password protected or linked to any of your accounts such as iCloud, Samsung Reactivation, or Android Activation Lock. Clear for Activation: If you are sending in a mobile device such as a cellphone or tablet with a mobile connection, please make sure your device is clear for activation on your respective carrier. This means your account does not have any unpaid bills and your item is NOT reported lost or stolen. You can quickly select your Sony DCR-DVD300 Video Camera using our search bar or step by step method so that you receive an accurate Instant Quote. Remember, our goal is to make selling your Sony DCR-DVD300 Video Camera the quickest, easiest way to sell and trade-in online. We provide free shipping on all orders, pay quickly and your Instant Quote Value is good for 30 days. BuyBackWorld.com buys your used, old, broken and unwanted Sony DCR-DVD300 Video Camera. To sell your Sony DCR-DVD300 Video Camera for cash, simply tell us a little more about your device above and then checkout to get paid. © Copyright 2009-2019, Dreven Holdings Group Inc. All Rights Reserved All brands and Trademarks found on www.buybackworld.com are property of their respective owners. BuyBackWorld is busy building the best online destination to purchase certified pre-owned iPhones, iPads, iPods and other smartphones along with discounted gift cards to your favorite stores. Every order comes standard with FREE Shipping and a no questions asked 30 Day Return Policy. Sign Up now to receive an email update once our site is officially live and we'll send you a FREE $10 OFF Promo Code to use on your first purchase! What is an ESN number? 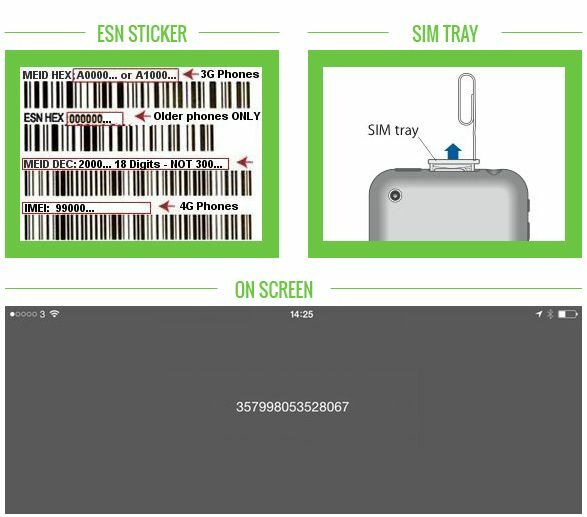 The ESN (Electronic Serial Number) is a serial number unique to each and every CDMA phone. A CDMA phone typically does not have a SIM Card and is usually Verizon, Sprint, Virgin Mobile, Boost Mobile, Metro PCS, Cricket or Alltel. An ESN can also be referred to as an MEID (Mobile Equipment Identifier). This number is tied to a carrier and helps record the activity and status of the device. Prior to our inspection, we will check to ensure that the ESN has been deactivated. If the ESN is not clear for activation, we will notify you via email and hold the item for 5 days. We will ask you to contact your wireless service provider and clear any issues that are causing your item's ESN to be active so that we can pay you the full amount. Unfortunately, if you are unable to clear your ESN for activation, we will consider your phone to be in "Poor" condition, since it is only worth its value in parts and cannot be activated by a new user. Verizon phones can now be checked through their "Activate Phone or Device" page. What is an IMEI number? The IMEI (International Mobile Equipment Identity) number is a 15 digit serial number unique to each and every GSM phone. A GSM phone has a SIM Card and is usually AT&T or T-Mobile. 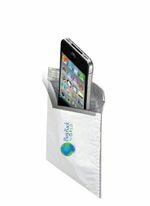 You will usually find it printed on a sticker on the back of your cell phone or on the SIM tray of most Apple iPhones. If your handset displays more than 15 digits or is separated by symbols, please enter the first 15 digits only. 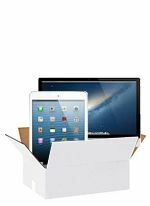 When you sell your devices, shipping is always FREE to BuyBackWorld. You can choose to print your own pre-paid label at home or we'll even send you a BuyBackWorld Shipping Kit directly to your front door. Once you've received our shipping kit or printed your own labels, simply pack your items up and bring them to your local Post Office or drop them in any blue mailbox. Your shipment is fully tracked at every step of the way and we'll let you know as soon as we receive it. The best part of selling your device is getting paid! We offer the most options in the world - you can choose to be paid via check, PayPal, Direct Deposit, PrePaid Debit Card or a BuyBackWorld.com Gift Card which includes an extra 5% to spend in our store. This is your money so choose how you want to receive it. When do I get paid? We know time is money so we pay quick and issue payment within two business days of inspection. Once your device is received, we check that your order is complete and your items match the condition you described. If everything matches up, we make payment within two days of inspection. One you complete your online sales order, we'll send you a FREE shipping kit within 24 hours. The pack can take 3-5 business days to reach you. One you complete your online sales order, we'll email you a FREE shipping label and Packing Slip. Simply print your labels, affix them to any box, and drop your package into any mailbox or bring it to your nearest Post Office.